RADIO STREAM ReggaekingRadio.com, on TuneIn or in the iTunes “Reggae/Island” Radio section! Edwin “The Bajan King” Howell had a love for music even as a little boy growing up in St. Lucy, Barbados. That love has helped him become “The King” in Caribbean music in New York today. Born to Mannetha and Osbert Howell, of Checker Hall, St. Lucy, Edwin attended Half Moon Fort schools before moving to Brooklyn, NY with his parents in the early 80’s and completing his education. Starting as a DJ in the clubs, he first got his radio break in the early 1990s with the late William “Love Doctor” Blake and Prince Kalunda on WNWK (105.9 FM). In the summers of ‘95, ’96 and ’97, Edwin began mixing for Bob Frederick on WLIB (1190 AM)’s “Spring-Summer Jam”. 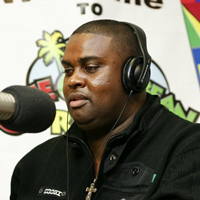 In 1996 he hosted his own show on WNWK on Sunday evenings from 9 to 10 PM, where he started to build a following of listeners representing all of the Caribbean. At the same time, Edwin was also making waves in the music business at his full time job with VP Record Distributors, where he continues as a Manager/ A & R Rep., compiling and producing compilation CDs such as Soca Gold, Reggae Gold, Strictly The Best, D’ Soca Zone and Soca 101 just to name a few. Edwin has been the recipient of many awards including Reggae/Soca Music Awards for Executive Producer of the Year 2000-2006 Manager of the Year 2003 & 2004, Producer of the Year 2003, 2004 & 2006. Also for Soca Gold 2004, 2005, 2006, 2008, 2009, 2010, 2011 & 2012 Bajan King Promotions Inc, of which Edwin is CEO and founder of, is a managerial and promotion company responsible for selecting, mentoring and advising artists in mostly Caribbean music. 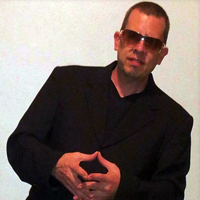 He manages artists and organizes national and international tours for his individual artists and groups. Edwin is a member of The American Federation of Television and Radio Artists union. Edwin “The Bajan King” Howell currently is working with artists such as Bunji Garlin and Edwin Yearwood, hoping all the while to see his dream of a Grammy Award for Soca, one day in the very near future. BloodPreshah is Denver, Colorado’s premier Reggae music DJ and Reggae Music specialist. He has been involved in the Reggae Music industry since 1995 as a top DJ, Audio engineer, On Air talent and Reggae promoter. Vital Signs is the weekly radio program featuring a variety of different selections of reggae music from today, yesterday and tomorrow. Produced and hosted by Bloodpreshah, in Denver, Colorado, Vital Signz can be heard Fridays @ 12pm EST 10am MTN and 5pm GMT on Live365, TuneIn Radio, and on iTunes Radio. Dj Enic1….The Reinforcement – founded in 2007 by Damian “Enic1” Martinez; started as a local DJ hailing from Brooklyn, N.Y. (born and raised). Damian vision was simply to bring music to the hearts of everyone both young and old. 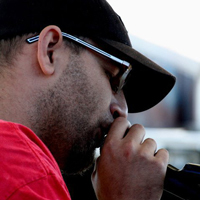 With 10 years experience as a dj/producer, Enic1 has spun with many other Dj’s both up-coming and well known. 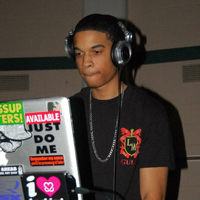 To perfect his skill, he just attained training at Scratch Dj Academy in N.Y. in winter of 2013. 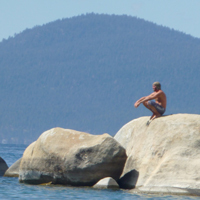 “No matter what, in this field there is something new to learn” – exclaims Damian. Specializing in forms of many different genres, however he plays what the people want to hear. “I don’t like restrictions if it isn’t necessary. To me, music is creativity; which we all have in us whether we know it or not…” August of 2012 launched “The R.E. Vybez” on Randy’s Reggae Radio, and its been a blessing ever since, says the young DJ. Playing the best of today and yesterday dancehall, reggae, and soca; he also infuses his own culture of Garifuna music in the mix as well. So be sure to tune in, and hear what he is up to next! 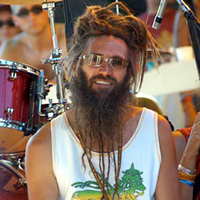 Step into Too Dread’s Reggae Shack to enjoy reggae music from all around the reggae map. Hosted by Tracy “Too Dread” Moore, who first brought reggae to the Reno, Nevada, and Lake Tahoe area radio waves back in the late 80’s, and who currently hosts the “Reggae Shack” every Sunday at 8 pm pacific time on Reno’s KTHX 100.1 fm/myradiox.com, the “Shack” is a labor of love brought to you by a DJ who thoroughly enjoys sharing the music he loves with the world. Selecta 7, a.k.a. 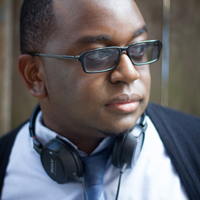 DJ Osha B., moved to Los Angeles in 2006 from his hometown, Santa Cruz, to pursue a career in the music industry–DJing, making beats, and promoting for VP Records. 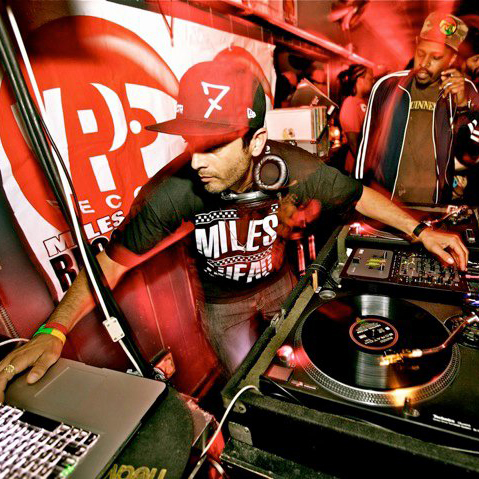 7 has collected a wealth of experience since moving to L.A. DJing at and promoting for venues such as the Roxy, the Whiskey, the Dragonfly, the Century Club, the Raggamuffin Festival in Long Beach, and too many other venues and festivals up and down the Cali coast to mention. Selecta 7 has since been the opening act for an array of well-known reggae/dancehall and hip hop artists including Sean Paul, Damien Marley, Sizzla, Beenie Man, Wayne Wonder, Tanya Stevens, Beres Hammond, Anthony B., J.R. Reid, Gregory Isaacs, Yami Bolo, Midnite Bone Thugs and Harmony, The Pack, Andre Nikatina, Matisyahu, Gappy Ranks, Protoje, Collie Buddz, Top Cat, Rankin Joe, Cherine Anderson, and Shinehead. Selecta 7 Sound also hosts “Reggae Love Sundays”–his own weekly Sunday at La Cita in Downtown L.A, and is a longtime resident of a popular Friday night session called Culture Clash w/ Live Injection Sound at Medusa Lounge. You can also catch him every second Saturday at Carbon Bar on Venice Blvd. 7 has become known not only as a DJ but also as a producer of original remixes and beats that are heard on the radio and clubs as well as web and TV, such as the MTV show “True Life” and for the Rad Girls. With 5 years of radio under his belt at the pro-ocean, surf-oriented UCSC weekly program at KZSC known as Radiowaves, and several years of experience as a host and DJ at shockout.com, Osha B. now brings you a weekly radio show via VP Records called “Reggae Love Radio” – a two-hour mix every Tuesday 3PM-5PM, the first hour roots & culture, the second hour dancehall. Seven brings his mixes to you with love–REGGAE LOVE! Gully has been around music all his life and started DJn at the tender age of 9 years old. Eventually playing around on the turntables landed him his first solo gig at the age of 11 and has been DJn a wide assortment of gigs since. With his wide variety of music he rises to any challenge with the motto “You got the amusement, I got the music!”.